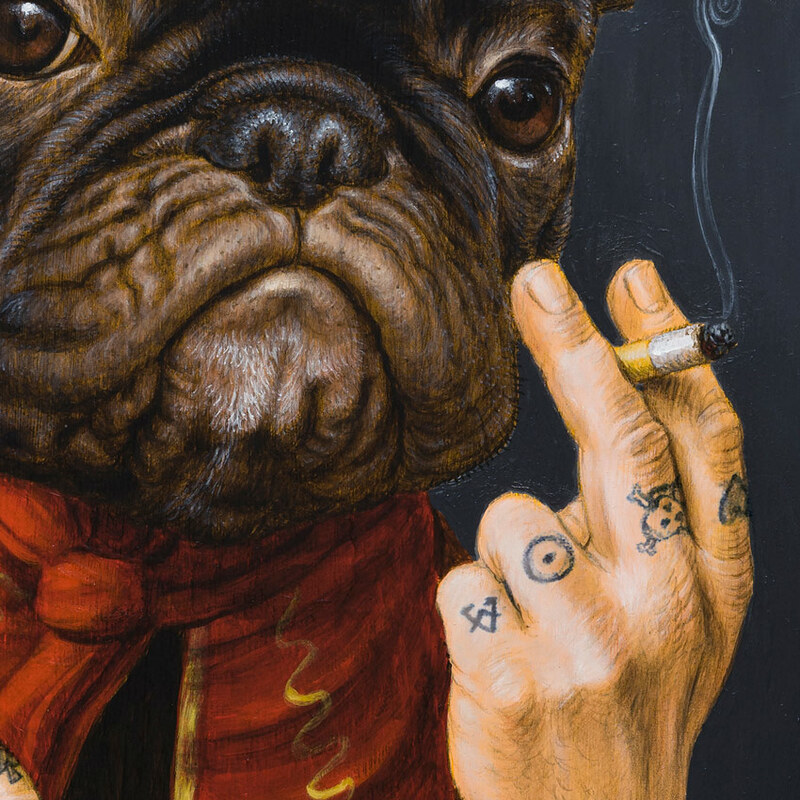 We welcome back French artist Turf One as he returns with his latest edition, paying homage to an old Parisian restaurant with the Le Chien Qui Fume or The Smoking Dog. 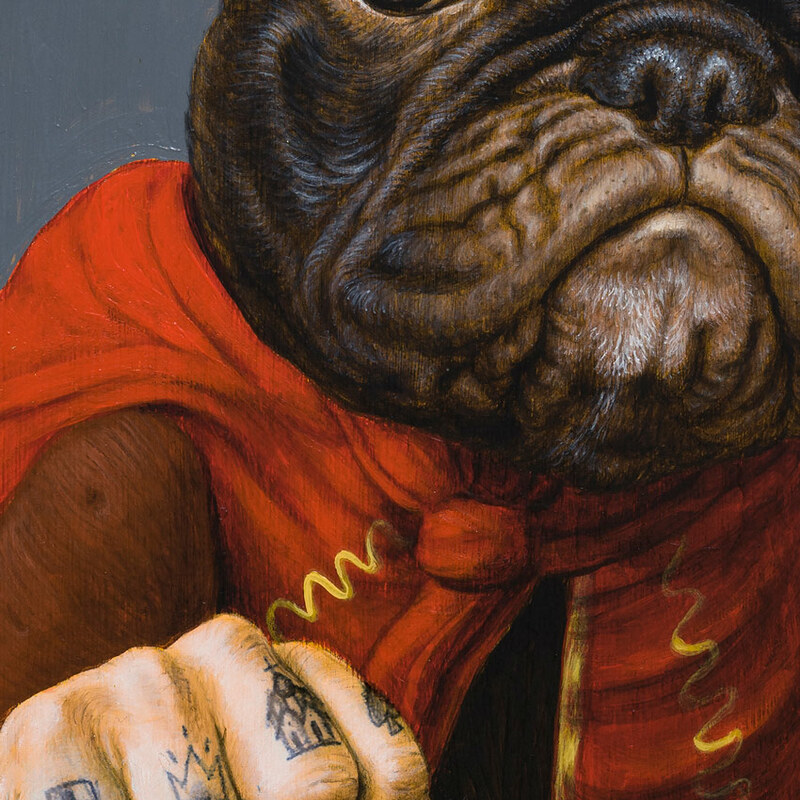 Available in both a standard and a hand-embellished edition, this image is as compact as it's subject and a perfect fit for any area where you need a anthropomorphic animal. Read on as Turf One gives us the lowdown behind his latest image and more. . . This RUN is signed, numbered and comes with a Certificate of Authenticity from Turf One and 1xRUN. 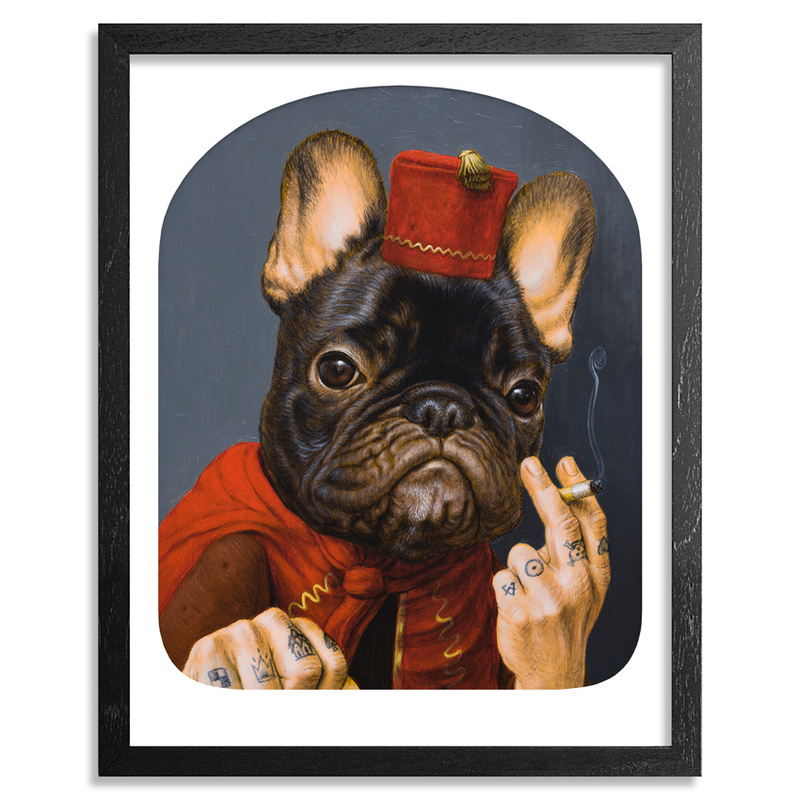 "Le Chien qui Fume (The Smoking Dog) is the name of an old Parisian restaurant. I always found the name so inspiring! 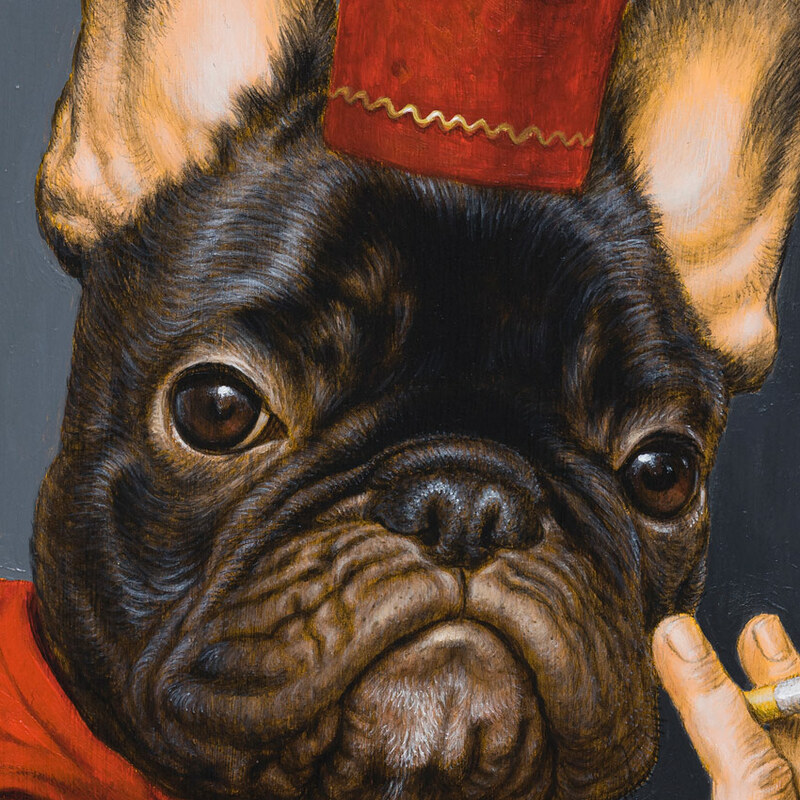 Since I was a kid, it always brought to mind images of smoking circus dogs, so I finally painted one. Turf is somewhat obsessed with Victorian-looking midgets sporting dandy facial hair, Russian icons, dead things of all sorts, carnival sideshows and seedy vermin-infested theatre stages. 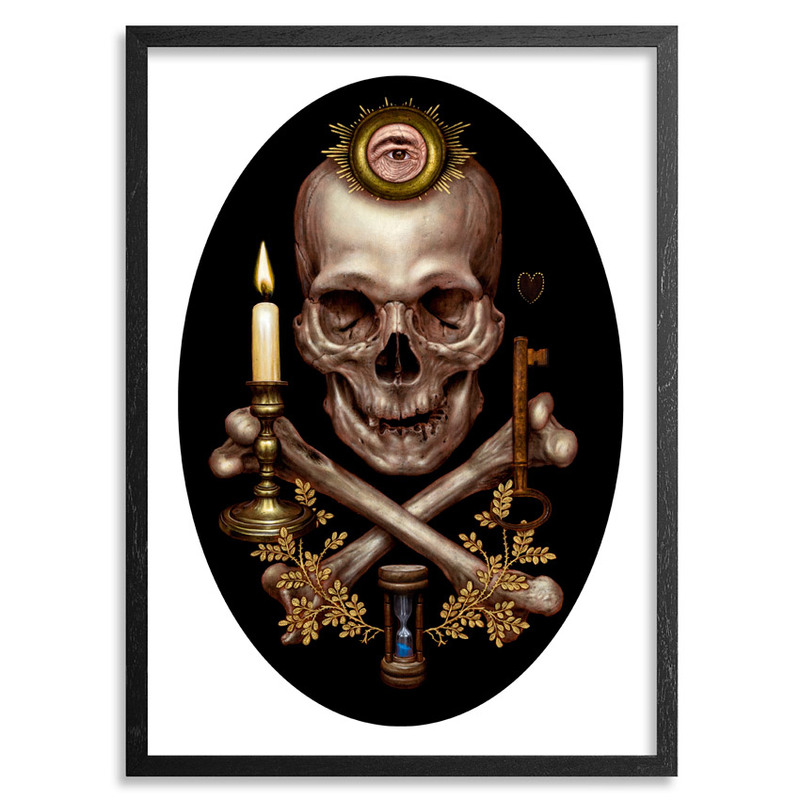 Technically, his paintings are reminiscent of the 15th century Flemish Primitives. Kind of. Jean Labourdette, as his mom still likes to call him, has forged a unique artistic vision and signature aesthetic over years of compulsive creation. In the late eighties he began his journey on the streets of Paris as a graffiti artist renowned for his distinctive and surreal characters. Over the years, Jean evolved into a prolific and sought-after multidisciplinary artist working as an illustrator, comic artist, filmmaker and painter. Today, he spends most of his time painting in a messy studio that Bacon would have been proud of, sipping on espressos and wine and talking to himself. Find more by Turf One at jeanlabourdette.com.